You are here: Home / Feature / SOUNDS OF PRAISE: In Las Vegas and beyond, the church choir remains integral to the African-American faith experience. 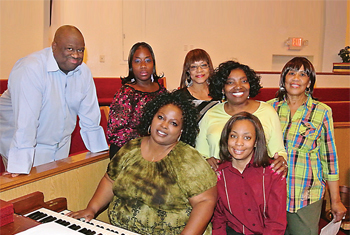 SOUNDS OF PRAISE: In Las Vegas and beyond, the church choir remains integral to the African-American faith experience. From left to right, seated, Winona Preston and Tiffany Pipes, standing, Minister of Music the Rev. Jonathon Luff; Jamie Shaw, Sharon Warren, Carmen Fowler and Evelyn Stewart. Long before they arrived in America on slave ships, many Africans practiced their own form of Christianity, which mixed their newer beliefs with ancient customs. During slavery, African captives worshiped secretly in what were called “hush harbors” — underground gathering places where their spirituality could not be detected by slave owners. In those eras, as today, singing and praise dancing served as essential rituals — making the choir among the oldest African-American religious traditions. Indeed, music has always been vital to the black spiritual experience. Much of the music heard in the modern African-American church, which brings such divine joy on Sunday mornings, has historical roots in the hymns that slaves harmonized to ease their suffering. The drumbeat still rings in our souls. No matter how your day or week has gone, the early-morning gospel music found in the church always reaches jubilant hearts. The hand-clapping begins with arms raised in praise, before the word is showered upon the congregation. The effortlessly synchronized harmony of the choir is a lovely reminder of another eternal spiritual principle: No one walks alone. Among the oldest and largest black congregations in Las Vegas is Second Baptist Church, located in the historic Westside community. Its mass choir, called Voices, includes about 75 members; there is also a men’s choir, a women’s choir and one comprised of young people. Berna Rhodes-Ford, choir member at Victory Missionary Baptist Church. 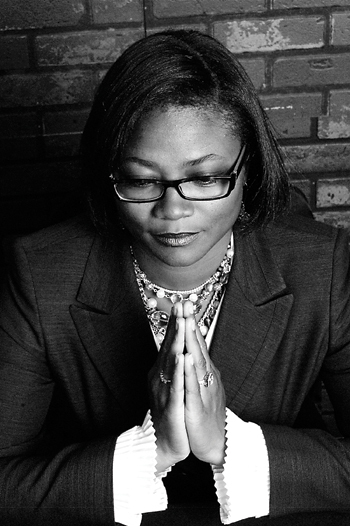 Berna Rhodes-Ford, an attorney, has sung in the church choir for many years. She became a member of Victory Missionary Baptist Church when she and her husband, Sen. Aaron Ford, relocated to Las Vegas in 2000. Though the choir remains integral to worship in the black church, the gospel music that is popularly celebrated on the national stage no longer relies on its timeless harmony. To some, that leaves a void that local churches continue to fulfill for believers.